For introductory courses in Financial Accounting taught from a more traditional "preparer" approach. Financial Accounting, 8e helps students "nail" the accounting cycle! Financial Accounting helps students "nail" the accounting cycle up front in order to increase success and retention later on. 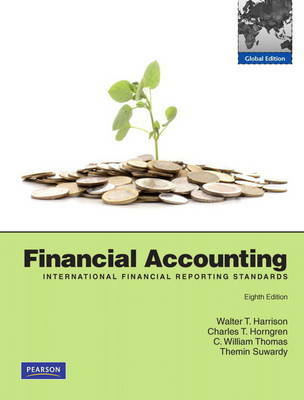 The concepts and mechanics students learn in the critical 'accounting cycle' chapters are used consistently and repetitively and with clear-cut details and explanations throughout the remainder of the text, minimizing confusion. MyAccountingLab, the text's online homework system, then provides students with a personalized learning environment that tests and strengthens their skills and understanding through unlimited practice. Together, Financial Accounting 8e and MyAccountingLab will help students have more of those "I Get It!" moments. A solid enhancement to already solid fundamentals, the eighth edition now features new co-author Bill Thomas of Baylor University who brings his expertise on auditing, ethics, and internal controls to key sections of the book.